When it comes to air travel, there’s probably nothing quite as frustrating or vacation-ruining as discovering your bags didn’t arrive when you did. 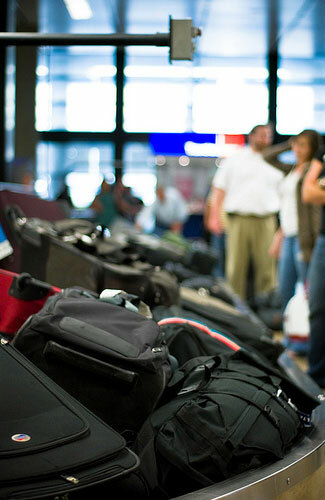 Fortunately, travelers can take a few steps to help prevent their bags from getting misplaced during travel. Check out these six tips on how to avoid losing your luggage on your next flight. By not giving the airline a chance to lose your luggage, you give yourself the best odds of avoiding the headaches that come with misplaced suitcases. The only surefire way to avoid the airline losing your luggage is to bring only what you can carry with you. This way, your bags never leave your sight and they arrive in your destination right alongside you. If you can condense your packing list to a single carry-on, you also avoid the checked bag fees that many airlines charge these days. To keep your packing list light, choose clothing items that you can easily mix and match so you can pack fewer pieces in your carry-on. Also, skip the toiletries and other inexpensive items that you can easily pick up after you arrive. Shoes are another common space-hog that should be kept to a minimum when it comes to packing a carry-on. For more tips on how to pack lightly and avoid checking bags when flying, check out our guide on how to travel with just one carry-on. There isn’t a terrible amount of diversity when it comes to suitcase styles and colors, so it wouldn’t be too surprising to discover that a jetlagged traveler accidentally mistook your all-black, four-wheeled spinner suitcase for his all-black, four-wheeled spinner suitcase in his quest to get out of the airport and to his hotel as quickly as possible. 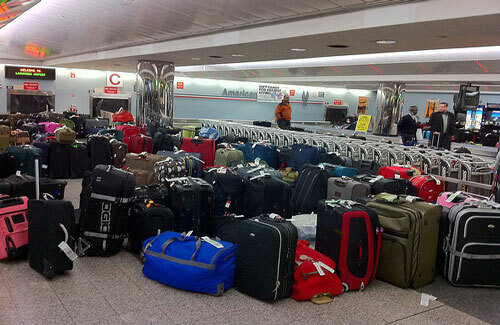 Unfortunately, an honest mistake can mean you may never see your luggage again. Making your suitcase easily identifiable, though, can help avoid this situation and ensure no one accidentally mistakes your suitcase for their own. If you’ve ever noticed colorful straps wrapped around suitcases as they spin around the baggage carousel but weren’t quite sure what they were for, consider the mystery solved. Adding straps, ribbons and other bursts of color to your suitcase makes it easy to spot your bag as it comes down the carousel, and it will also help prevent other travelers from mistaking it for their own bags. Luggage straps that wrap around your bag can also keep your luggage secure and prevent it from accidentally opening. Pick a strap or ribbon that will clearly mark your bag as your own to avoid possible mix-ups. A sturdy luggage tag is another must when it comes to avoiding losing your luggage. 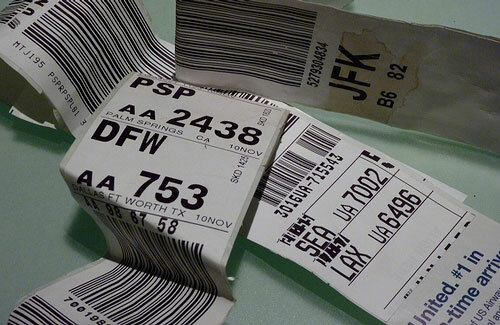 Flimsy paper tags provided by the airlines can easily rip off during transit, and without a luggage tag, airline staff won’t know how to contact the bag’s owner if they need to. A leather or plastic luggage tag with your identifying information is much more likely to withstand the wear and tear of travel, and a brightly colored one will also help you easily identify your bag. Digital tags are now being developed for some airlines, too, allowing you to track your bag on your smartphone. Genius. Arriving at the last minute for your flight and scheduling tight layovers both increase the chances your bag won’t arrive when you do. Why? Baggage handlers need time to get your bag from the check-in counter to the plane, and by pushing your check-in to the very last minute of the check-in window, you’re giving the airline staff the least amount of time possible to make sure your bag gets onto the plane. The same stands for short layovers – if your layover is so short that you’re running from one terminal to another to try to catch your next flight, there’s a chance your bag won’t have enough time to make the connection. Arrive early if you’re checking a bag, even if you’ve already checked in for your flight online, so your bag has plenty of time to make it onto the plane. While you don’t need to schedule excessive layovers, try to avoid very short ones so your bags have enough time to transfer between planes. Check-in agents are only human, and humans make mistakes from time to time. When you go to check your bag at the airport, ask to double check the destination airport code on the luggage tag the representative sticks onto your bag. In the rare case it happens to be the wrong airport, you’ll avoid the hassle of trying to track down your bag after you land. The fewer times the airline needs to handle your luggage, the fewer opportunities there are for your luggage to get lost. With every connection, your luggage is being unloaded, transported across the airport and then loaded again onto another plane, all of which present opportunities for your luggage to get lost. 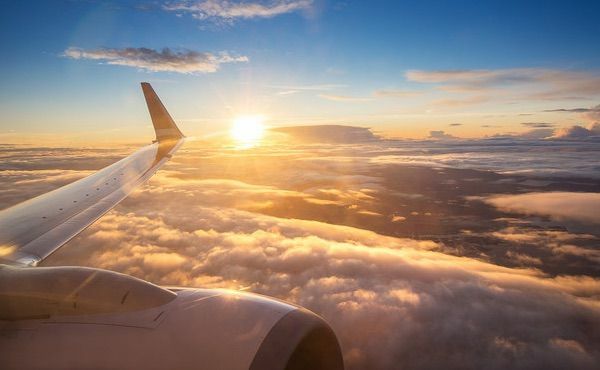 By booking a direct flight, you significantly decrease the chances your luggage will be lost since it will only be handled twice: once to be loaded onto the plane and once more when it’s unloaded. Sometimes, it isn’t the airline that misplaces the luggage but the traveler herself. After all, traveling can be a hectic experience. Between the chaos of check-in lines, security screenings and terminal navigation, one could get all the way to the gate before realizing he arrived at the airport with a carry-on that’s now nowhere to be found. Alternatively, you may be so tired from the flight that you walk straight past baggage claim after arriving and head directly to your hotel, only realizing hours later that you’re missing your suitcase. Be mindful of your luggage as you make your way through the airport, both when you’re departing and arriving, and should you accidentally misplace your luggage while at the airport, be sure to contact airport security as soon as possible. Unfortunately, even all the proper preparation can’t always prevent the airline from misplacing your luggage. If you find yourself without your bags once you land, though, all is not lost. 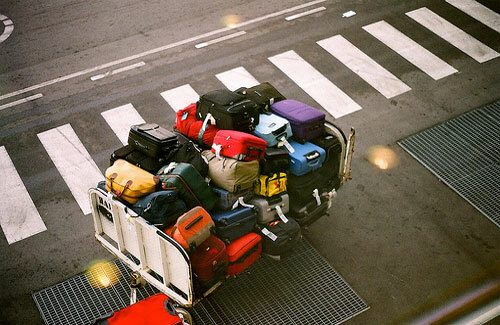 Check out our guide on what to do when your luggage is lost.